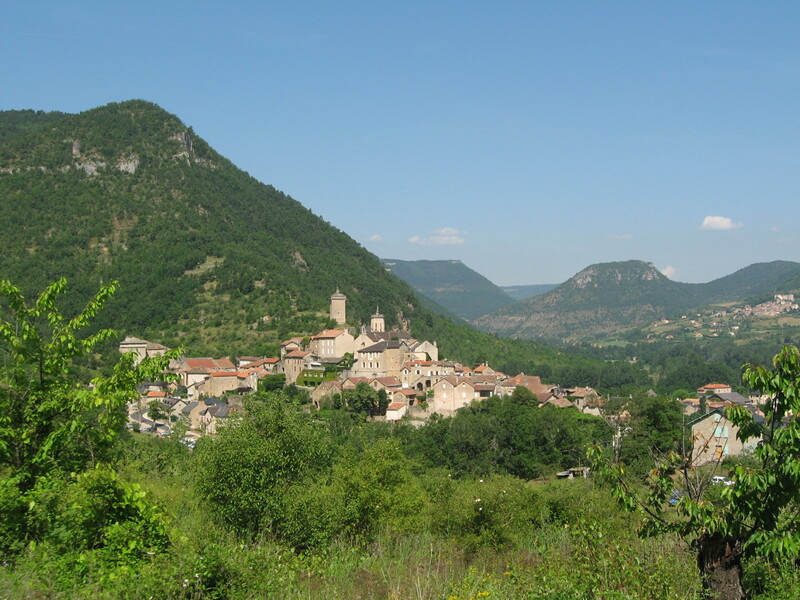 Sunday , June 27 – Layover Day in Le Rozier | Say Mar Say! - C'est Marseille! Stayed an extra day in Le Rozier because the bus to Millau didn’t run on Sunday. 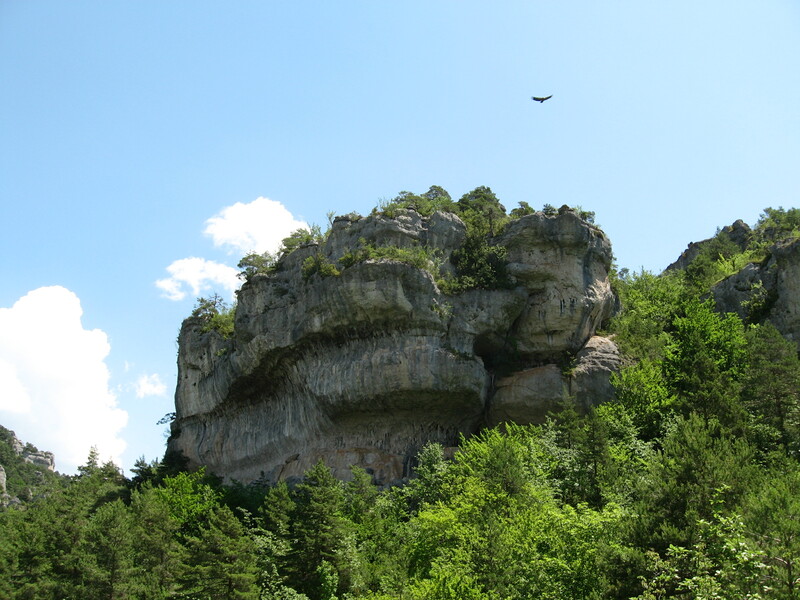 Did a magnificent day hike on the causse in a protected reserve. Saw five vaultours (vultures) soaring at once. 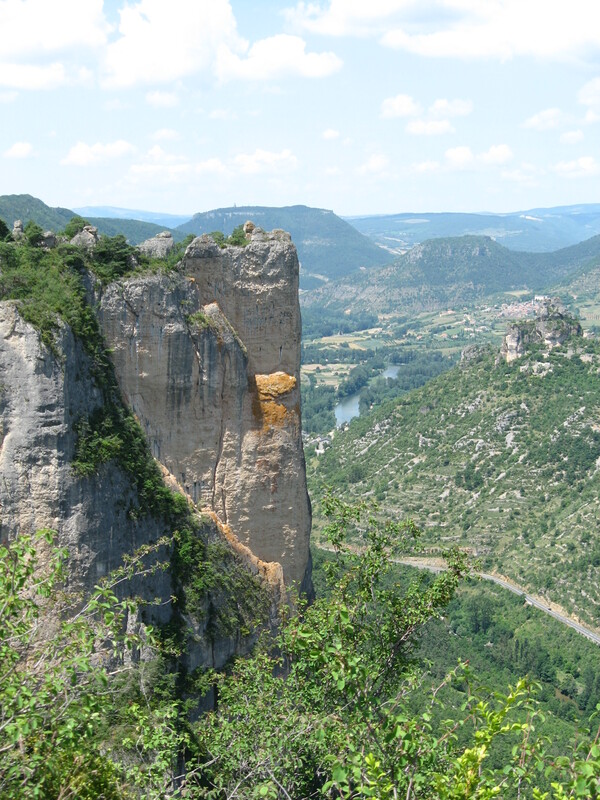 Views of the Gorge de la Jonte and abandoned sites. The trail descended quickly then we took a swim in the Jonte River. Met an interesting English couple at petit dej and I left the book I finished for them. 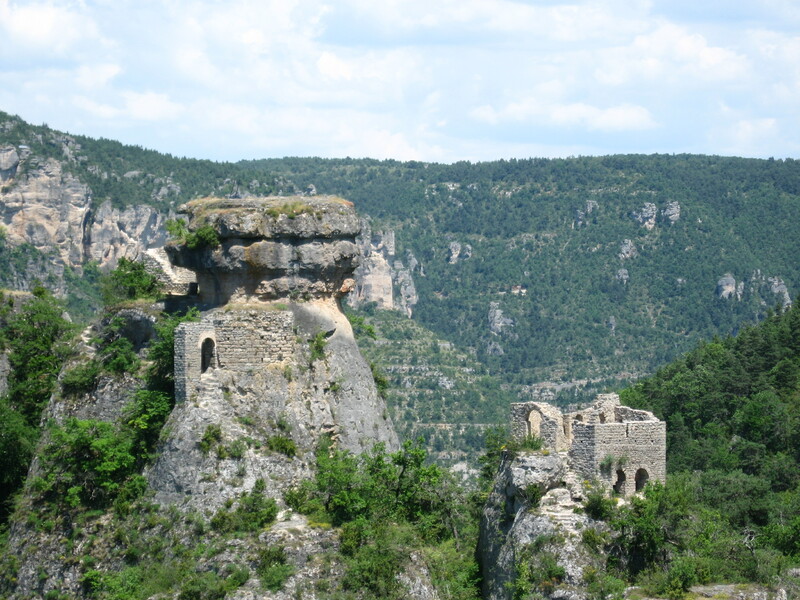 This entry was posted on February 7, 2013 at 10:06 am and is filed under Hiking In France. You can follow any responses to this entry through the RSS 2.0 feed. You can leave a response, or trackback from your own site.